In Tech Focus we look at Microsoft Power BI. We have been using Power BI to pull information from line of business application. At Extreme we can see who has been entering their timesheets, who has been working with which customers and what billings each engineer has. This updates in real time and display it on one of our monitors that is mounted on the wall. This means that everyone can see how the team and each individual is performing. We look at the processes we use for both developing applications internal and for our customers. The costs of software development have dramatically decreased and enable completely different business models to thrive because investments are so much lower. Off the shelf vs custom built – Of the shelf is generally cheaper but it will have functionality for a whole range of business and some of your business process will need to change to match the off the shelf software. Custom built or bespoke software will match exactly your business processes. Phone apps – are they worth the effort. A lot of consumers have app fatigue. They may find it in the appstore and install it, but a lot of apps get used once and the app is never opened again. Middleware – Breaking down the silos between your databases. Your customer database, marketing database, financial database. It can be very power taking data from one type of software and putting it into another. 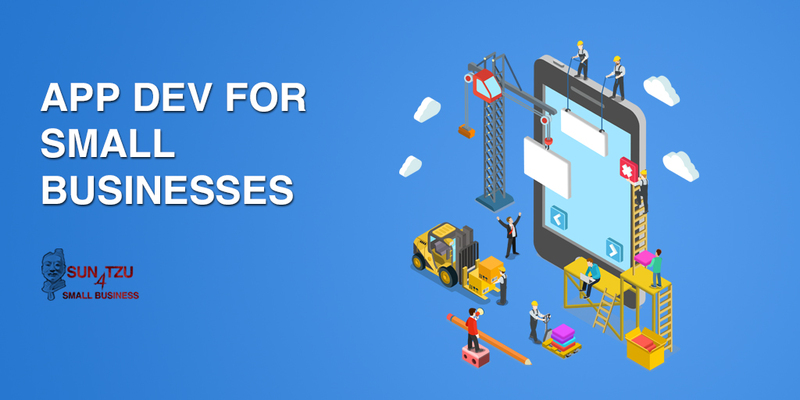 Business Process apps – taking the way that you run your business and putting it in the app. This automates things, cuts down on user error and allows for automatic reporting. These are some of the most powerful apps that small businesses build. If you have great processes, you can sell your application with your IP. For a plumber, they may service a 25km radius. If you sell plumbing company software, it could be a global opportunity. Not being sure of what you want or what your business processes are. Look at the track record of your developer. They should have shipped decent sized processes. We have built a booking system for Restaurants that is used in 11 countries and taken over $25,000,000 in bookings. That gives our customers a bit more confidence that we can do what we are saying we can do. Make sure the application is made by a team, business analysis, design and development. Fiverr – get a dev for just the process. Insource a developer – hire them for your team. If you have only 1 developer and little experience in app dev, it is hard to manage your application development team. Hire a development team. Either onshore or offshored, get the skills and the resources you need for the project. Look at the risk and the size of the project to see which path is right for you. If your company relies heavily on IT it might be worthwhile to building a team. App Dev can help you to fundamentally change the way that you work and the profitability of your company. Some companies develop software and end up making more money by selling their application than out of their original business. It is a great way of monetising your intellectual property. Quote – Patton – Never tell people how to do things Tell them what to do and they will surprise you with their ingenuity.